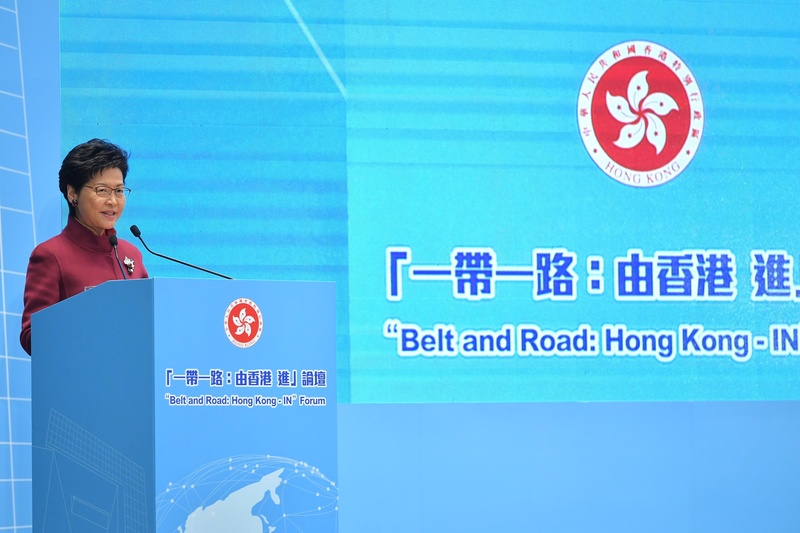 The Chief Executive, Mrs Carrie Lam, and the Deputy Director of the Hong Kong and Macao Affairs Office of the State Council, Mr Huang Liuquan, delivered opening remarks at the Forum. 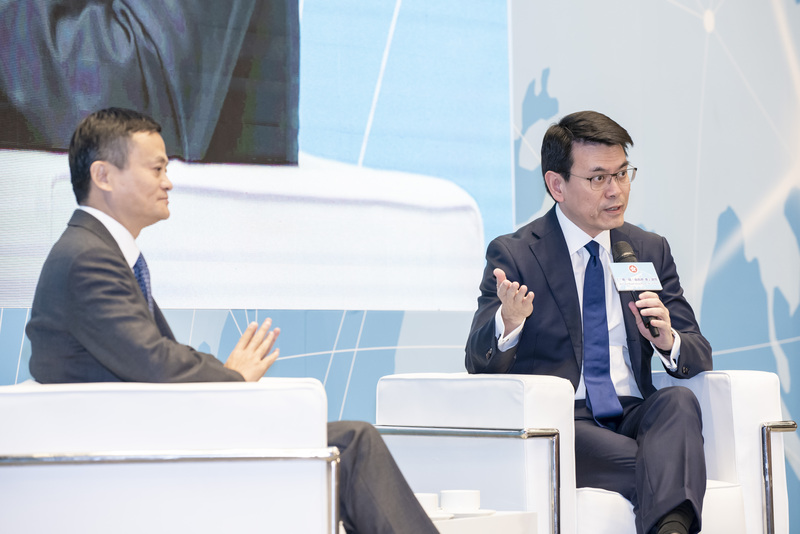 Mr Jack Ma, the Executive Chairman of the Alibaba Group, participated at the sharing session of the Forum, which was moderated by the Secretary for Commerce and Economic Development. Mr Edward Yau. 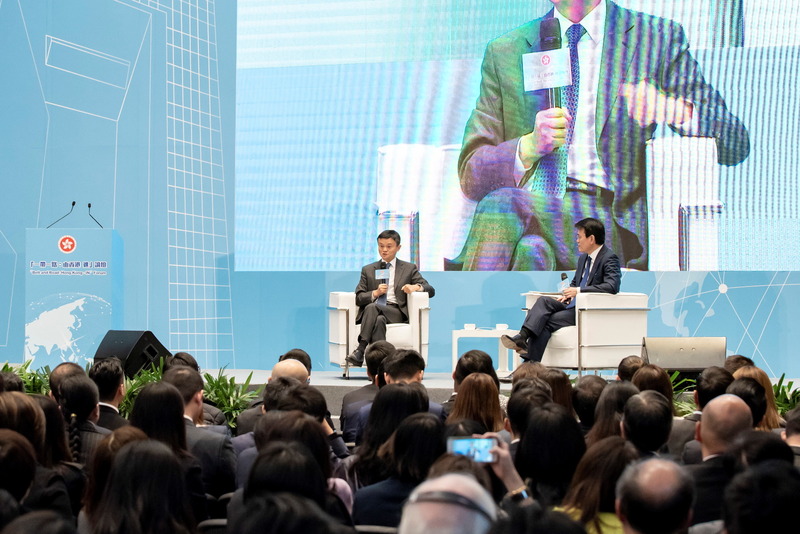 He offered his insights from the perspective of private enterprises on leveraging Hong Kong’s advantages in professional services and expertise to serve as the launch-pad into the Belt and Road markets. 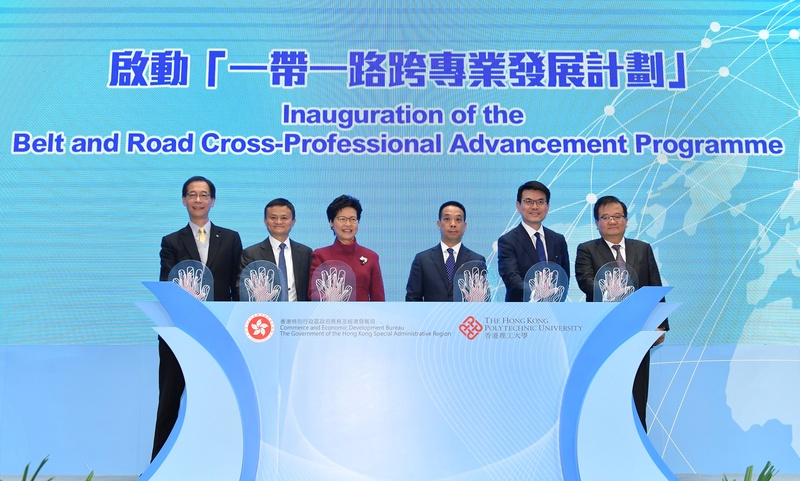 Following the Forum, Mrs Lam, Mr Huang, Mr Yau and Mr Ma, together with the President of the Hong Kong Polytechnic University (PolyU), Professor Timothy Tong, and the Chairman of the Hong Kong Chinese Enterprises Association, Mr Gao Yingxin, officiated at the inauguration of the Belt and Road Cross-Professional Advancement Programme. 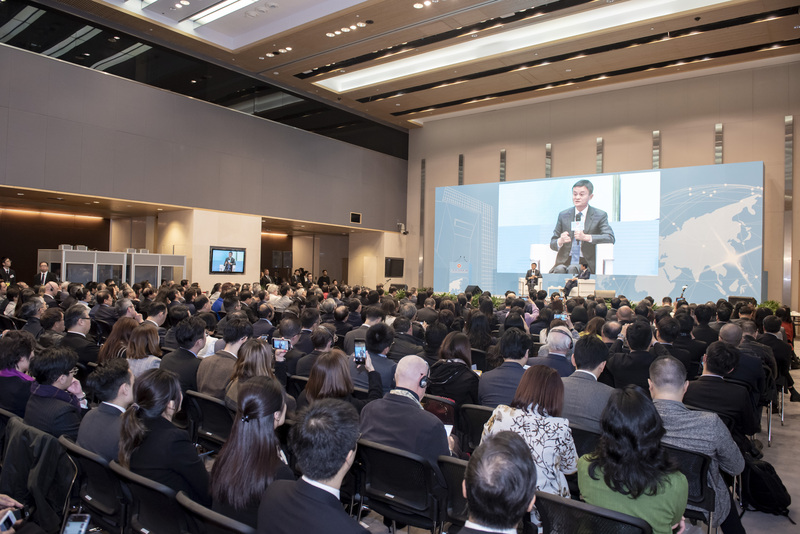 The Programme is undertaken by PolyU with funding support from the Professional Services Advancement Support Scheme managed by the CEDB, and is fully supported by various professional bodies and the Hong Kong Chinese Enterprises Association. 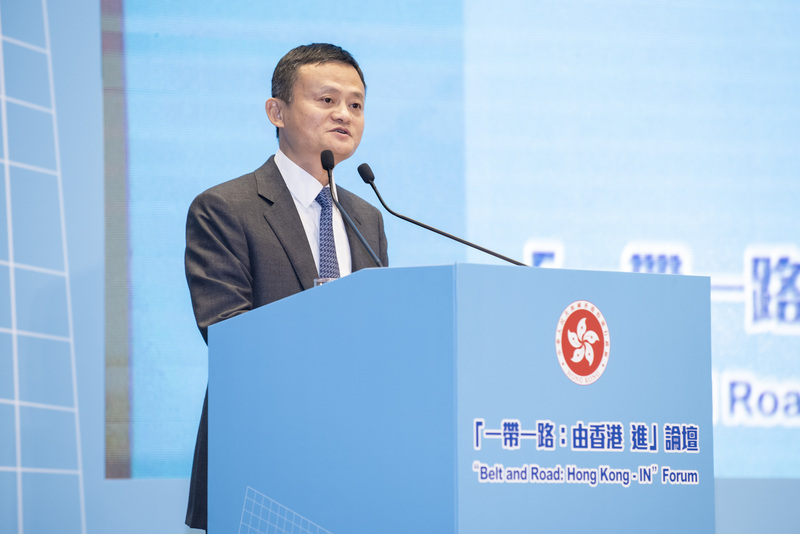 The Programme will initially last for 12 months, and seeks to better equip Hong Kong professionals in meeting the challenges and grasping the opportunities brought about by the Belt and Road Initiative.